The Queen’s Baton Relay is the traditional curtain raiser to the Commonwealth Games and has been an inclusion in the Games programme since the Cardiff Games 1958 and involves a programme of visits of the Baton to all 71 Commonwealth Countries before completing its journey with its entry into the arena for the Opening Ceremony of the Games. The Baton Relay commences from Buckingham Palace with Her Majesty Queen Elizabeth II passing the Baton to a runner from the host nation. For the Gold Coast 2018 Games the Baton is scheduled to arrive in Jersey on the evening of Wednesday 13th September 2017 and stay for 2 days. 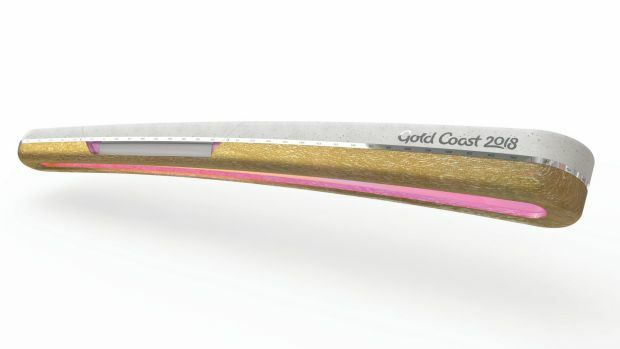 Some Gold Coast Baton facts – Macadamia wood used on the back of the Baton represents our past. The macadamia tree is native to the Gold Coast region and serves as an important symbol and example of traditional indigenous sustainable cultural practice. As groups travelled though Country, macadamia nuts were planted along the journey to mark the way and provide sustenance for future generations. The mirror finish of the stainless steel stringer will create a literal reflection of the Baton’s present surrounds everywhere it travels. Laser-engraved in sequential order are the three digit alpha codes of all nations and territories of the Commonwealth, providing a visual depiction of the epic journey the Queen’s Baton will take. The front leading edge is made using reclaimed plastic collected from the ocean, waterways, beaches and surrounding areas of the Gold Coast. Almost all Commonwealth nations are connected by the ocean. The repurposed plastic makes us think about overconsumption, pollution and how together we can create a sustainable future for generations to come.